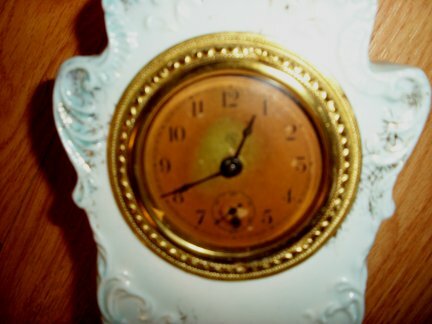 Waterbury miniature china clock with a 30 hr balance wheel time only movement. 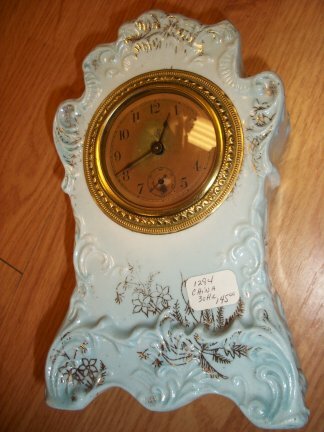 It has a porcelain case made in 1895, it is light blue case. Close up of face. It has a weathered face, but normal for a paper face . 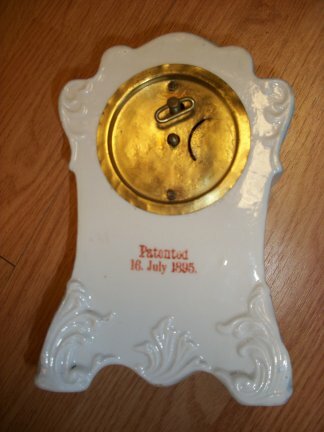 Back of clock showing the patented mark.